What do you do when you have around 18 lbs of apples laying around the house? You cook…duh! After the great apple picking adventure of 2012, I had more apples laying around than I knew what to do with. Lately I’ve been trying to eat healthier, so I didn’t want to make ten thousand different desserts that would fling me into depression every time I stepped on the scale. But I definitely couldn’t waste the opportunity to play with all this fresh organic produce. So I thought to myself – “Self…other than just eating an apple, what’s a fun snack food that I could make with these tasty nuggets?”. A voice inside me sprung up and shouted “bake some apple chips, yo fool!” (yes, the voice inside me has street cred). 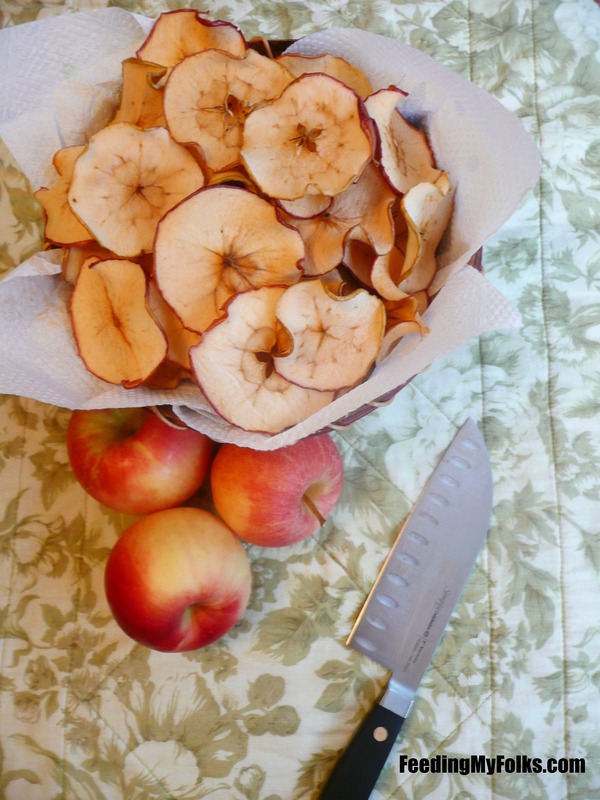 I could totally binge on homemade apple chips without feeling any guilt. Score! So I rinsed off a few apples, took out a sharp knife, and began slicing. And slicing. And slicing. Andddd slicing. Yup, it’s a little time consuming without a mandolin, but I knew it would be worth it in the end. And the “recipe” couldn’t be simpler. All you do is lay the slices on a baking sheet covered with parchment paper, stick them in the oven, and bake. That’s it. Fool proof! I know some people like sprinkling the slices with apple pie seasoning, cinnamon, or a light dusting of sugar…but I find that completely unnecessary. Why tamper with the fresh taste of a juicy apple? I mean it. If you start with a delicious apple, you’ll end up with a delicious chip. Like I always say, quality ingredients can yield some amazing results. Preheat oven to 225 or 235 degrees Fahrenheit. Cover 2 or 3 baking sheets with parchment paper. 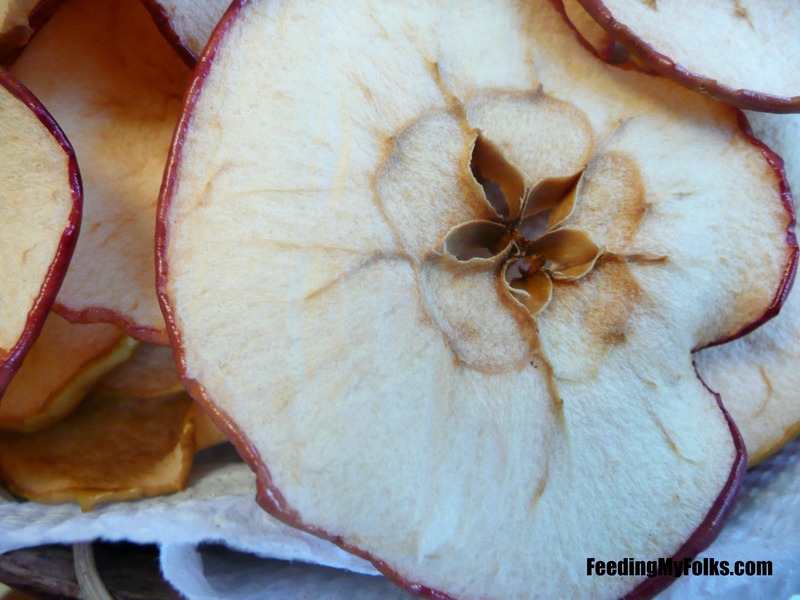 Using a mandolin (or a steady hand), slice the apples about 1/8 – 1/4 inch in thickness. Remove seeds. Lay the slices on the baking sheet, making sure that none overlap. Bake for 2.5-3 hours, or until crisp. Hi Bob. I use a few different kinds, but Macoun and Gala are favorites. 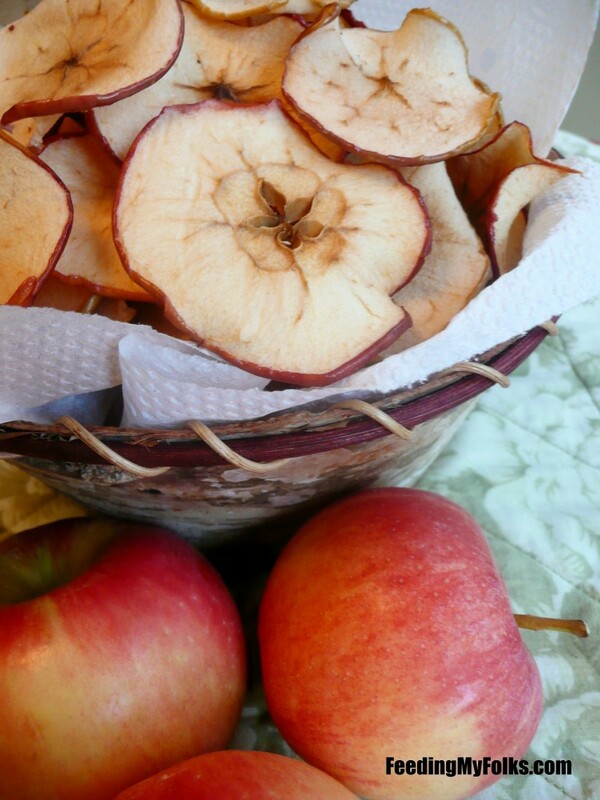 Stick with a crisp apple that isn’t oozing juice and you’ll have an amazing chip. The voice outside of you has street cred too. Who are you kidding? But you should sell them! Take your mom’s suggestion, haha. You know what? You’re kind of right! It’s a pretty intense knife for such a happy pic haha. Everyone seems to like cinnamon on their apple chips, so maybe I’ll give it another try.